Besides this crazy scheme, reports suggest that Jharkhand’s BJP govt. gave undue concessions for Godda power plant. We all know that capitalism works in bizarre ways to ensure profit. But crony capitalism takes the cake when it comes outlandish arrangements. India’s Adani Group is one excellent example of this. And their latest adventure in getting coal from Australia to produce power in Jharkhand and supply it to Bangladesh is one such instance. In November 2017, Adani Power announced that it will set up a coal-fired power plant in Jharkhand dedicated to supply power to Bangladesh for a 25-year period. This enterprise came into being after PM Modi visited Bangladesh in June 2015 and assured his counterpart Sheikh Hasina that India would help her country with getting over its acute power shortage. But in January this year, Adani Power announced that it would be importing coal from – hold your breath! – Australia to run its Godda power plant! As we know, Adani owns one of the world’s biggest coal mines, the Carmichael mine, in Australia linked to a nearby port, Abbot Point. Adani’s whole Australian business is in jeopardy because of stiff resistance from locals on environmental concerns. Perhaps in order to revive the sinking Carmichael mine, Adani Power thought up this bizarre scheme of sending coal from Carmichael to Godda, some 8800 odd kilometres away by ship. This is where crony capitalism, till then waiting in the wings, stepped in to help Adani. As reported in Scroll.in today, the BJP led Jharkhand govt. stepped in to help fix the whole system. According to a “confidential government audit report” it has now been revealed that the Jharkhand govt. amended the state’s energy policy to give Adani Power an undue advantage or benefit of Rs.296.4 crore every year. Since the Bangladesh agreement is for 25 years, this works out to a whopping Rs.7410 crore undue benefit to Adani Power. What the state govt. helped with was this: the energy policy required that any power producing company that sets up a plant in the state was required to sell 25% of its output at cheap rates to the state. Normally this was broken into two parts, 12% power to be supplied at a price that covers only variable or running cost and the remaining 13% at a price that covers both fixed and variable costs – running cost and depreciation of plant and machinery. The actual tariff was to be determined by the state electricity regulatory commission. 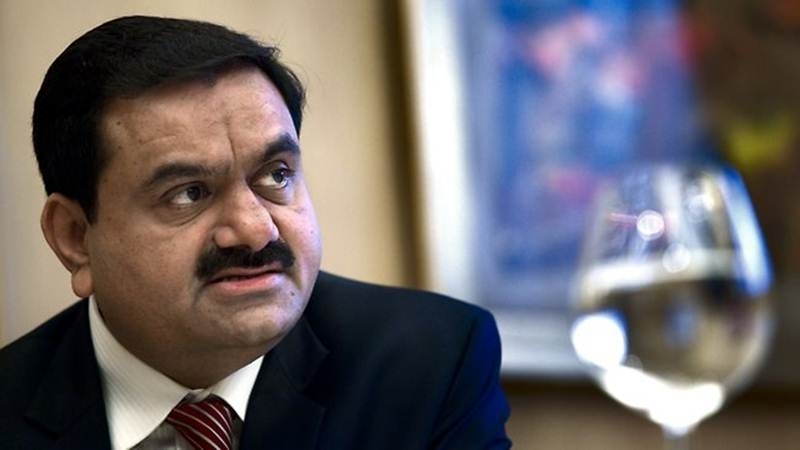 Under Adani Power’s pressure – and maybe some pressure from you know who! – the energy policy was amended in 2016 to buy power from Adani only at cost covering both fixed and variable costs, which works out to double the cost if only variable cost is counted. That’s how the saving of Rs.7410 accrues to Adani Power. There is a provision in Jharkhand’s policy for waiving the 25% cheap power provision – it says that you can avoid supplying cheap power if use the state’s own coal. And, Adani does own the Jitpur coal block in Jharkhand. But the snag is that under the agreement Adani has to send that coal to its Mundra facility in Gujarat! There is no way of getting around that. The 1600 Mw-Godda power plant, to be built at a cost of USD 2.1 billion (Rs.135 billion) was initially projected to be completed by end of 2018 but Adani Power has said that it would become operational only by 2022, according to the Institute for Energy Economics and Financial Analysis (IEEFA). It will carry power to Bangladesh through a dedicated line. How Adani Power is going to meet the costs of this giant exercise is anybody’s guess because as per latest financial results, Adani Power’s net debt of US$7.2 billion is more than 16 times equity. The company has so far failed to make the full cash deposit required to secure land acquisition for the project, IEEFA said. Even Bangladesh is a loser in this deal. IEEFA analysis shows that Bangladesh will be getting power at about Taka 8.71/kWh compared to other imported coal-based rates of Taka 6.52 to 7.8 per kWh, not to forget even lower rates from imported LNG or natural gas power plants. But between them, Modi and Adani have locked everybody down into a giant scheme that profits nobody else but themselves. Newsclick's Daily Round-up brings to you news that is important, but not so trending.